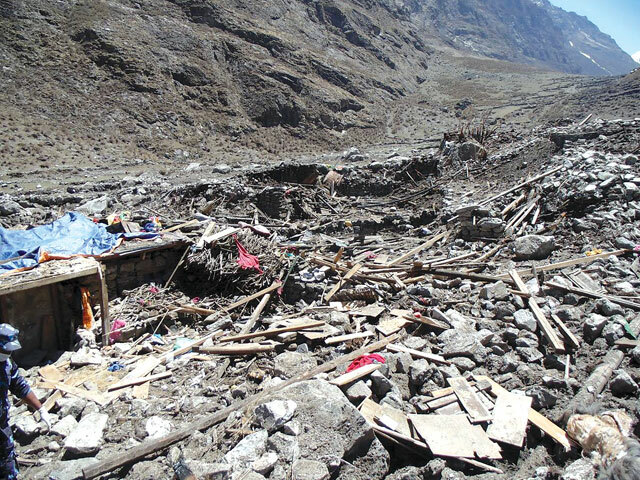 Survivors of Langtang want to go home, but when? "When can we go home?" That is the question 488 villagers from Langtang ask as they spend another month at the Phuntsok Choeling Monastery (Yellow Gumba) at Swayambhu. The earthquake-triggered avalanche wiped out the entire village killing 175, leaving hundreds missing. Many are disappointed at not having been able to perform the traditional death rituals for lost lives, some want to go back to look for missing relatives, others are concerned with the whereabouts of their yaks. “But, what will we do going back? There is no place to even offer a butter lamp in the name of the dead,” says 65-year-old Tsering Dawa of Kyangjin who lost her brother and sister-in-law. 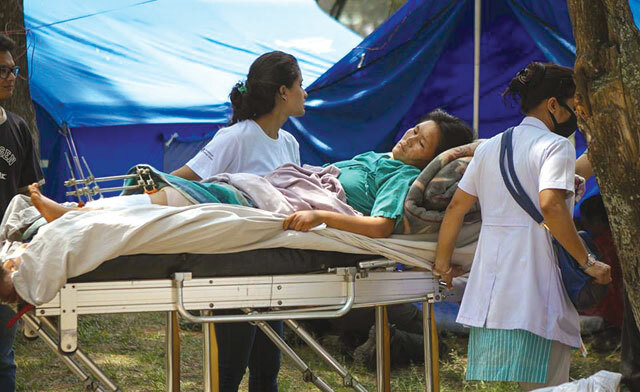 Like most survivors of the Langtang tragedy, Dawa is alive because she was out in the field when the earthquake struck just before noon on 25 April. Dawa’s friend Maya Sangmo, 55, lost 11 family members. Sangmo used to run a tea-house in Kyangjin and was walking towards the bathroom when the earth started shaking. She now lives with her sister and two daughters. Thirty-five year-old Tsering Mingmar (pic, above) is from Langtang Gompa. All the 20 houses in Mingmar’s village were destroyed. 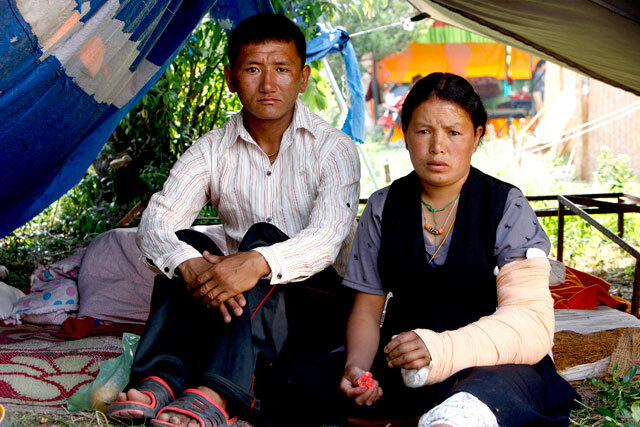 She herself lost her 15-year-old son when a rock fell on him, and she broke her arm. 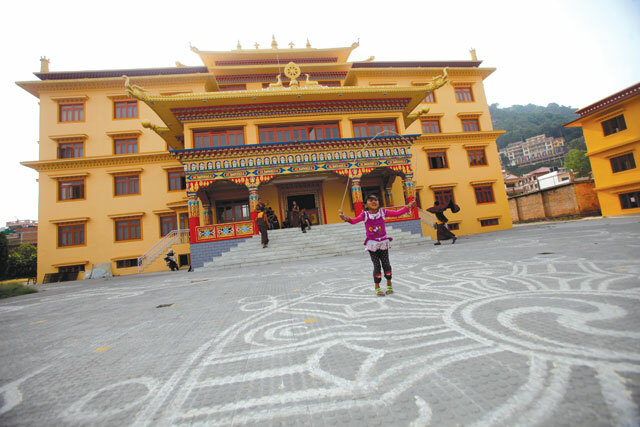 Mingmar spent two weeks at Patan Hospital, and is now living at the Yellow Monastery with her husband and two children. Last week a group of 40 villagers drove up to Syabrubesi and walked for two days to get to Langtang. Despite being advised by government authorities not to go up, they were determined to find the bodies of their relatives and move their yaks to high pasture for grazing. On Sunday, they were able to recover 55 more bodies with the help of the Nepal Army. Although the Phuntsok Choeling monastery is providing the 488 survivors with food and shelter for as long as needed, they only want one thing, and that is to go home. In a meeting with Prime Minister Sushil Koirala, representatives of the Langtang Disaster Relief Fund (LDRF) had requested the government to send geologists to inspect the safety of the affected areas. The PM also promised Rs 40,000 as compensation to each family, both are yet to happen. A team of Japanese scientists surveyed Kyangjin, Langtang, and Rimche, and deemed them safe. “But we want a nod from the government for reconstruction,” says Finjo Lopchan of LDRF. The Fund has received Rs 4 million in donations, and was set up by Langtang native Pasang Bhuti based in Spain. Bhuti’s mother is among those killed in the village. The group is supporting women by providing them with raw materials to make local handicraft products like gloves and socks that will be sold online through the websites of Sustainable Steps to Nepal and LDRF. “Even if it is just a small amount, the women will feel they are contributing something to rebuilding the village rather than just feeling helpless,” says Lopchan of the initiative. Another reason the Tibetan-Buddhist community does not want to stay at the monastery too long is to avoid disrupting the Gumba’s monastic life. “Small things, like having to share taps with women and children does bother our monks, but we believe now is the time to help and not think too much about such things,” says Gelek Gyathar, the head monk at Phuntsok Choeling. 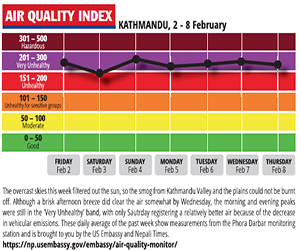 On Friday, villagers will gather at Boudha to commemorate the 49-day rituals for all lives lost. All will have wished to have the memorial in Langtang, that is no longer there. “I wanted to die so I started to hit myself with a stone"
At 9AM, my husband, our two nephews and I started to make our way towards our yak pasture. After an hour, we reached my friend's tea shop and stopped for tea while my husband continued on. Suddenly the earth shook. At first, we couldn’t understand what was happening. The tremors got stronger. Within a minute, we heard a very loud bang as if something had exploded, and then we saw an enormous ball of rocks and snow, bigger than a house coming towards us. We started running, the sky turned black. I could hardly see anything because of all the dust. My friend broke her hand and I tried to help her by taking her and my nephews to a cave nearby. We heard a foreigner cry for help but couldn’t see him. I tried to follow the sound of his voice when two big rocks crushed my legs and I was trapped. Other rocks continued to hit me on my head and my back. I couldn't move and was in pain. I saw the injured tourist to my left asking for water. I cried and cursed God because I couldn’t help. After ten minutes, I couldn’t hear him anymore. He was dead. I wanted to die and hit myself with a stone. About half-an-hour later my nephews found me and I told them to go back to the safety of the cave. My husband found me a little later and despite his head injuries carried me to Ghoda Tabela. On the way, we saw many injured people and more bodies. 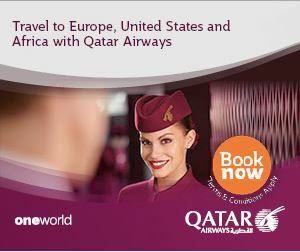 My legs were bleeding heavily and I could not walk, my husband had to carry me everywhere and the pain was unbearable. That night we slept out in the open with other villagers. The next day, a helicopter arrived but only took tourists and some village leaders. People were stepping on me while running to the helicopter to be rescued. I told my husband to go but he said he would rather die with me. The thought of my two sons in boarding school in Kathmandu helped me stay positive. Three days later, we got on a helicopter to Kathmandu. I was treated at Patan Hospital where I saw myself on TV being interviewed. My son also saw me on TV, and his teacher told me how much he cried. I lost my mother, my sisters and everything else I owned. I have nothing left to go back to and I don’t know if I will ever be able to walk again. I am not sure whether to consider myself lucky to have survived, or feel unfortunate for becoming a burden to my husband. As told to Pasang Bhuti of Langtang Disaster Relief Fund.